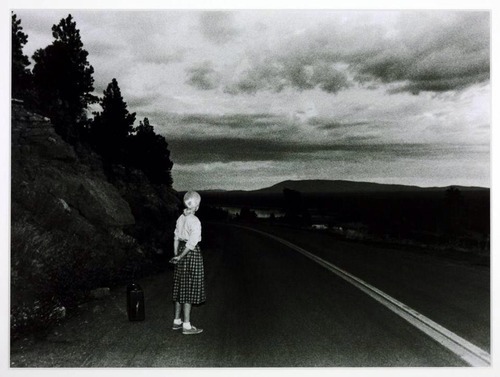 From an (epic) series by Cindy Sherman – Untitled Film Stills. Sixty-nine black-and-white photographs made between 1977 and 1980 in which Sherman appears as fictitious characters in scenarios resembling moments in a film. She used vintage clothing, wigs and makeup to create a range of female personae which she then photographed in apparently solitary, unguarded moments of reflection, undress, or in conversation with somebody off-set and outside of the frame.